As we walked out the office in Washington D.C., I started a timer on my phone to see what the door-to-door travel time would be. 26 hours later we were in the back of a hired car, dodging the mini-buses that barrel down the road between Entebbe and Kampala. We were in Uganda to check in on one of TechChange’s biggest projects: the “Diagnose and Treat Febrile Illnesses” eLearning course. Last year, we built a course for Malaria Consortium, one of the world’s leading non-profit organizations specializing in the prevention, control, and treatment of malaria. The course was meant to train private sector health workers and Rapid Diagnostic Testing sales representatives in Uganda and Nigeria. In many malaria-endemic countries like Uganda and Nigeria, the disease has been prevalent for so long that pharmacists and doctors would give malaria treatment to any patient presenting symptoms of fever. Not only is this false diagnosis harmful for the patient, it also leads to the waste of costly treatments that don’t help the patient get better – in fact, their condition could become even more serious. Incorrect diagnoses can even be fatal: pneumonia is the leading cause of death for children under 5 in Sub-Saharan Africa, but it is often misdiagnosed as malaria. 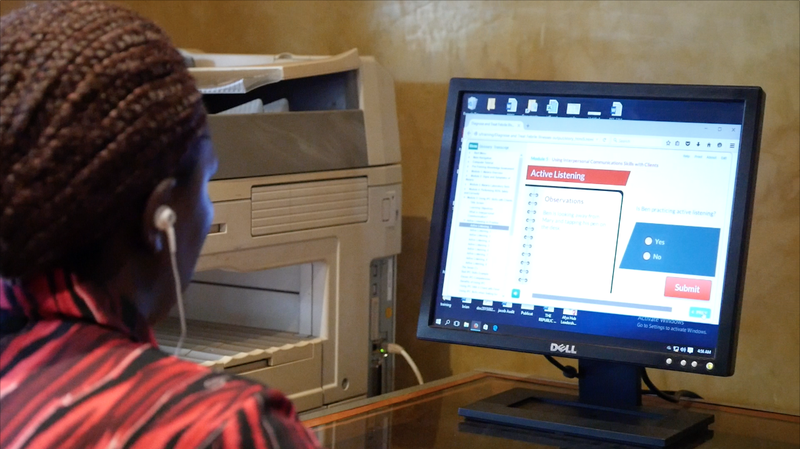 The goal of the elearning training is to reach roughly 5000 health professionals in both Uganda and Nigeria and provide in-depth training on how to diagnose diseases that can present fever-like symptoms, like malaria, pneumonia, typhoid, and others. The two-day training provides a hybrid learning experience with off-line elearning modules and in-person trainings, created with local content to make the training as culturally-relevant as possible. 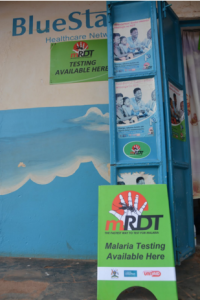 The training teaches healthcare workers the basics of how the malaria parasite works, how to conduct a malaria Rapid Diagnostic Test (RDT), how to diagnose patients for other illnesses, and how to provide treatment depending on the results they find. It’s been a year since the training was implemented, so we were curious to see how the training fared. Was a computer-based training actually useful to trainers? Did students enjoy the training? Were there better learning outcomes? So, how is the training going so far? We found that even with minor technical considerations, the training was a stunning success! Yes, there were certain drawbacks to having a computer-based training compared to a traditional lecture format. Among the biggest disadvantages were the possibility of power-outages, finding computers with adequate RAM and processing power to play the training, and also updating Adobe Flash (one of the requirements to run the training). However, with the help of an in-country technical setup team, these issues were controllable. What do the trainers think? Most importantly, trainers told us that the benefits of the blended learning style far outweighed any drawbacks caused by being dependent on computers. Students and trainers alike told us that the format allowed students to learn the content at their own pace, compared to a lecture where the instructor may move too quickly or slowly through content. Students also told us that the interactive format made the learning experience much better than a lecture accompanied by slides. The visual nature of the training came up again and again as an aspect of the training that helped students learn. Students who had completed the pilot program took the training to heart. One pharmacist referred to the training as she told us about about her neighbor, who had recently come into her shop asking for antimalarials to treat his fever – but, his test result was negative, so she advised him to seek treatment at a health facility. After visiting the clinic, he stopped by the pharmacy to let her know that he had been diagnosed with Typhoid fever; if the pharmacist had misdiagnosed the fever and provided treatment for malaria, it would only have allowed his case of Typhoid to get worse. This is just one anecdote of many. While concerns about electricity and infrastructure remain very real, it is exciting to see the training accomplishing it’s goals. We are excited to continue supporting and improving the delivery of this training with Malaria Consortium! Is your organization looking to train your teams online? Besides online facilitated courses, we also also create custom offline computer trainings that can be used in settings where internet connectivity is a non-starter. 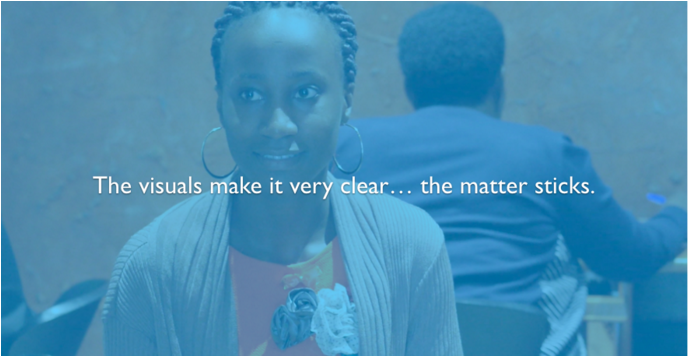 See our different projects on our Enterprise page and feel free to reach out to us enterprise@techchange.org.